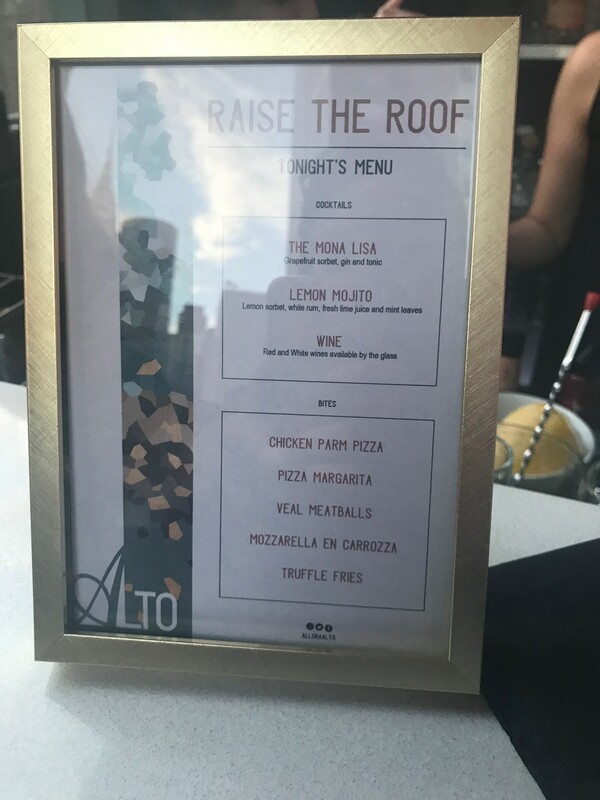 If you’re looking for an intimate yet energetic rooftop in Midtown, let me suggest Allora Alto, a rooftop lounge at The Bernic Hotel. It just hosted its grand opening a few weeks ago. 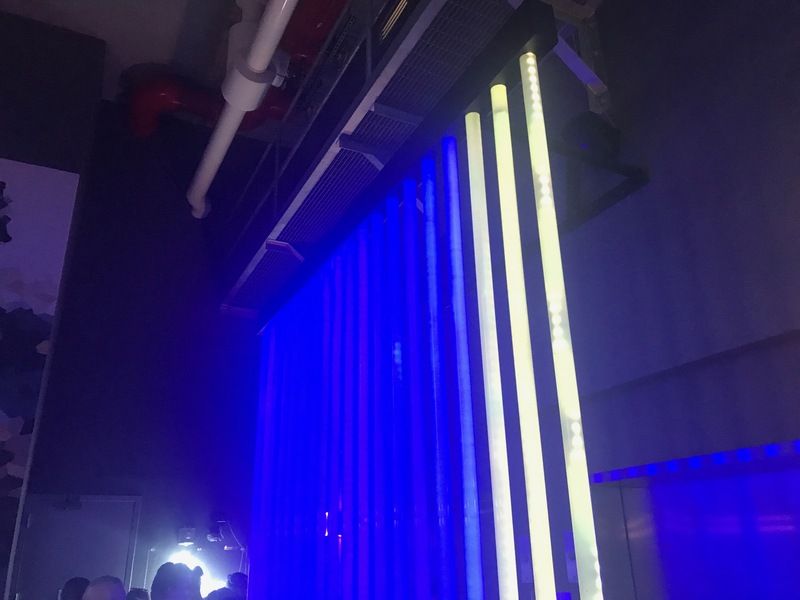 When you first walk in, you’re greeted by a custom-made L.E.D. 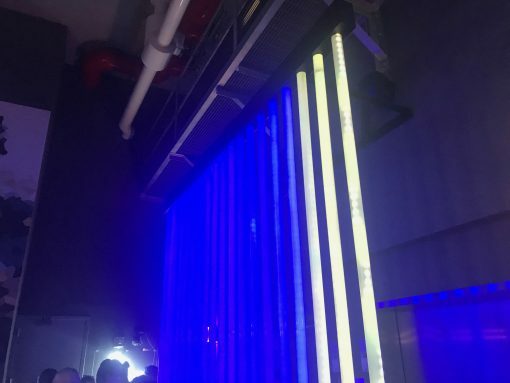 light wall created by Dario Gimenez Design that rotates colors. The light is also visible from street level. 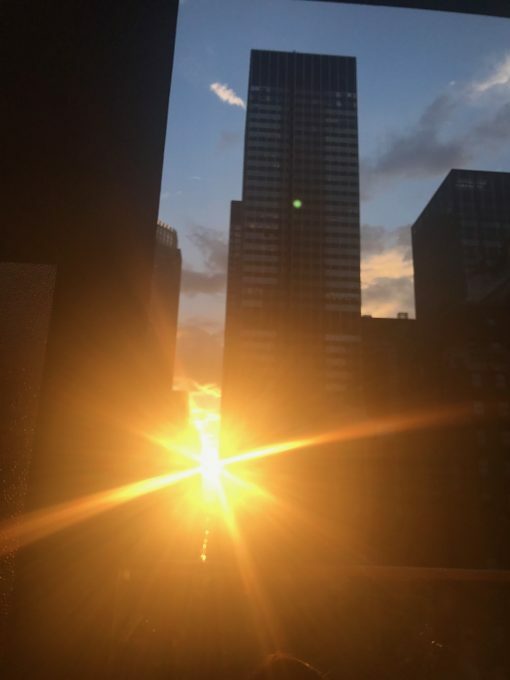 With views of 47th street, East River, and the surrounding Midtown area, the space is breathtaking. The lounge has banquette seating, a copper front bar and an 18-foot equestrian mural painted by artist Zach Hodges. Allora Alto Rooftop features an assorted selection of cocktails, wine, and small bites. During the grand 0pening celebration, we enjoyed rosé, Lemon Sorbet Mojito, Grapefruit Gin Sorbet. 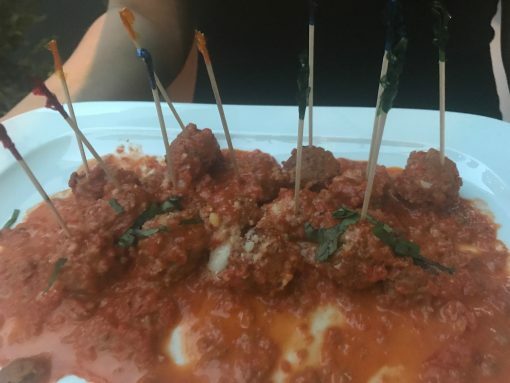 Small bites included Mozzarella En Carroza, veal meatballs, chicken parm pizza, pizza margarita, and truffle fries. 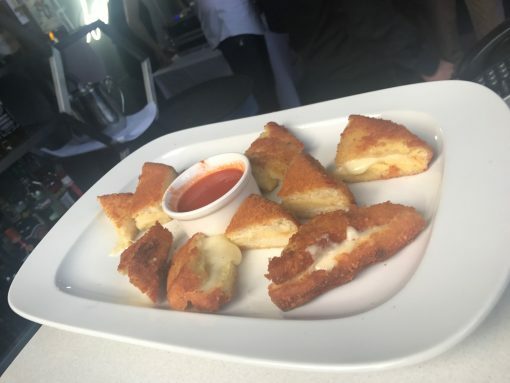 My favorites were the Mozzarella En Carroza and the Chicken Parm Pizza. I love cheese-laden dishes and these were amazing! With a good mix of small bites and cocktails, along with the incredible views, this hotspot is a must-visit! This entry was posted in Dining, Events, Lifestyle and tagged Allora Alto, cocktails, lounge, midtown, rooftop, small bites.